Tea Time Class is coming up-- you attend? Hear Ye, Hear Ye! 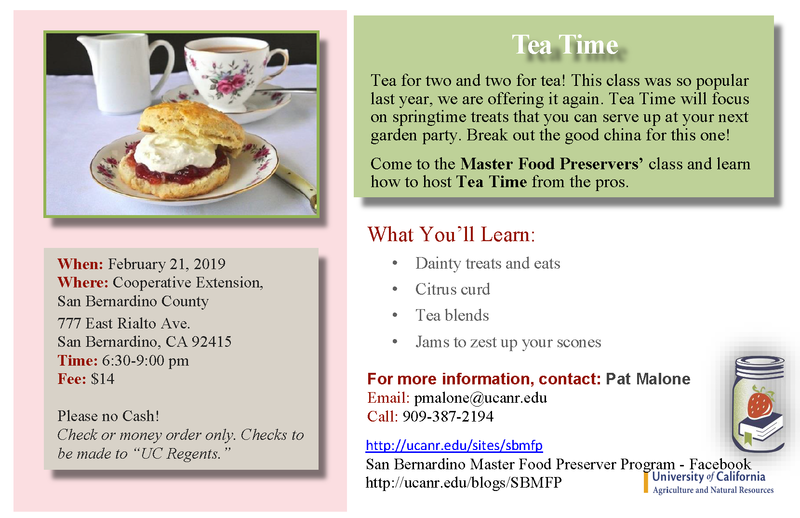 The Teatime class is coming up! So popular last year that it is being presented again. Come and enjoy learning about go-withs when having a cup of tea. 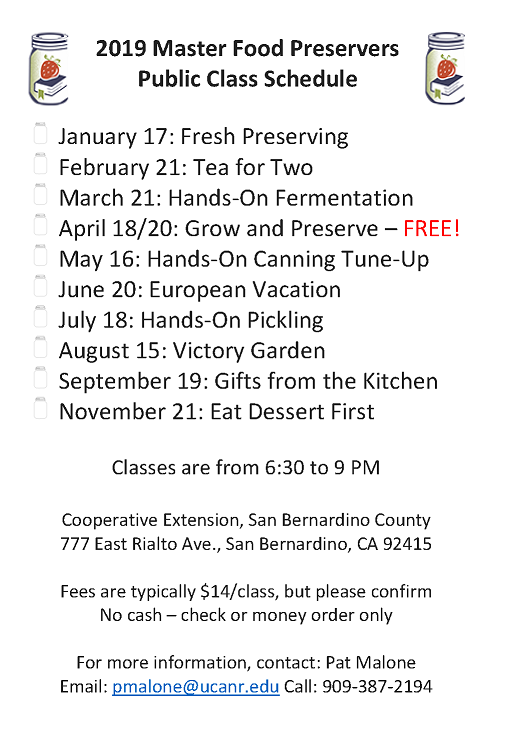 As an added bonus for planning your future attendance is a list of 2019's classes with the San Bernardino Master food Preservers. Do any look interesting? Put your favorites on your calendar right now! Remember that the Grow and Preserve and Gifts from the kitchen are especially highly attended, so make reminder to yourself to reserve your classes few weeks before each, ok?